Metro Manila is no stranger to condominium living. In fact, economic progress and infrastructural innovations have played pivotal factors to the rise of condominiums with some even going as far as to say that these have paved the way towards skyscraper living. After all, prime real estate is becoming a rarity in progressive cities, so the rising demand for condominium units is very much understandable. In this regard, prime real estate such as condos for sale in Manila is selling like hot cakes. Unfortunately, while living in big and progressive cities such as BGC Taguig would grant residents conveniences and accessibility like no other, it does not come without compromise. As a direct consequence of living in proximity to shops, city centers and most areas of prime interest, it is a known fact that condo residents would have to give up on being in the midst of nature. In this regard, lush and verdant greenery would virtually be non-existent. After all, living in BGC Taguig and buying a condo for sale in Manila would be synonymous to concrete jungle living insomuch that sprawling verdant gardens, convenience and accessibility would be mutually exclusive. However, condominium projects and developments have slowly adapted to the sustainable and green lifestyle most prospective condo owners are clamoring for. As a result, more and more sky-rise developments and condos for sale in Manila have addressed the need for a wonderful blend of city and suburban living within their complexes. To address the incessant need, Alveo Land has unveiled The Veranda—a condo complex located within Arca South, Taguig City’s newest business and lifestyle district. Poised to become the premier community in Arca South and the prime neighborhood in BGC Taguig, Alveo Land unveils The Veranda, a mid-rise low-density condominium located within the private portion of the district. This for tower residential development has some of the most sought-after condos for sale in Manila and as it is located smack dab in the middle of the city, the enclave is the perfect residential choice for city dwellers looking for a low-density community. The Veranda is a condominium property with condos for sale in Manila that is backed by one of the most illustrious and long-established real estate developers in the Philippines, Alveo Land. It is slated to become one of Metro Manila’s most highly sought-after addresses and BGC Taguig’s much-coveted residential place for discerning buyers looking for an upscale property that does not preclude sustainability and green living within the vibrant hub of Arca South. Incorporated in the year 1995 and a fully-owned subsidiary of Ayala Land, Alveo Land is one of the most established and trusted real estate developers in the Philippines. In fact, it has developed most of the condos for sale in Manila and specializes in building homes for the discriminating and upscale market in the Philippines. In this regard, Alveo Land strives to provide homes for the urban achievers in the Philippine real estate market who demand more of their high-end living spaces, amenities, and environmental surroundings. Alveo Land Corp, with its string of condos for sale in Manila, is poised to take advantage of the current resounding positive sentiment in the Filipino real estate market. Resultantly, the developer is dedicated to creating more holistic communities that cater to the higher-end segment of the market. Alveo Land capitalizes on highlighting the best quality in all aspects of the condos for sale in Manila, BGC Taguig or wherever regardless of whether it is the unit itself or the surroundings down to the lifestyle. 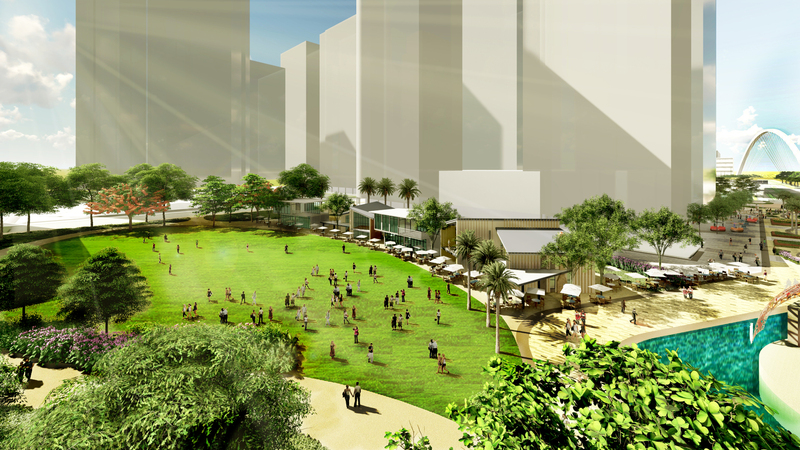 In the heart of BGC Taguig is a visionary destination known as Arca South. Poised to become the ideal location for inspiring change, Ayala Land’s newest central business and lifestyle district in BGC Taguig promises a slew of condos for sale in Manila that endeavors to push forward to progress through access, variety, and efficiency. Masterfully planned and executed, the modern district capitalizes on highlighting architecture within sightlines, efficient energy use and a spatial cadence that complements development on a human scale. 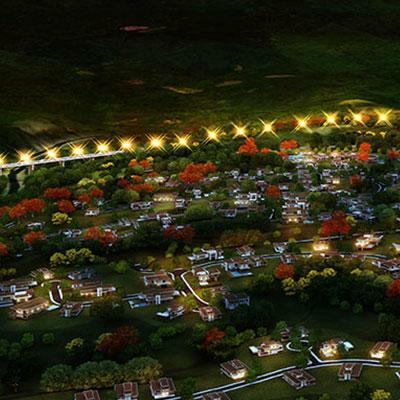 All of these come into fruition at The Veranda, Alveo Land’s residential development in the heart of Arca South. One of the best things about The Veranda is its unbeatable location. With a string of condos for sale in Metro Manila, you tend to have a wider scope of options when it comes to real estate. However, if you are looking for one that harmonizes city and suburban living then your best bet is with The Veranda located in Arca South, BGC Taguig. Much like any progressive cities in Luzon, Taguig is a modern and urban city with a string of condos for sale in Manila. What sets the properties in Taguig apart is the fact that it has a lively commercial, residential and industrial center all in one area. It also boasts a beautiful and unspoiled area of nearly 10 kilometers with a shoreline along Laguna de Bay which was once home to a busy fishing community. 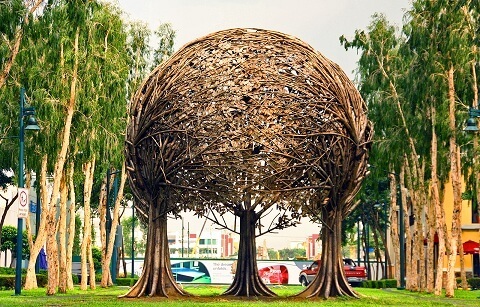 Much like any modern progressive city, Taguig has something to offer everyone—from nightlife attractions in BGC to recreational facilities and shopping malls and other places of interest making it a premier residential district. Spread within The Veranda are intimate-scaled amenities and lush greens for relaxation and recreation. An atrium and a central landscaped garden bring natural light and ventilation throughout the development. Diverse lifestyle retail rows at the ground floor complete the picture of a one-of-a-kind residential condominium living that will be your quiet and refreshing retreat from the chaos of the urban jungle. Through its four-tower masterplan, Alveo Land continues to challenge the limits to innovation as it introduces the latest technology in condominium development—the Aeroflux System. From the Latin words AERO (air), FLUX (fluidity), and LUX (light), the Aeroflux System revolutionizes living in the metro as it creates breathable and naturally illuminated spaces by maximizing air circulation and natural light dispersion. Fresh air enters residential units through exterior windows and exits through the windows facing the hallway. Operable windows using the center pivot system double the amount of air coming in and out, allowing for adequate air passage. Window size accommodates pressure gradients enabling favorable wind via cross ventilation within units. Additional notches throughout The Veranda also allows for better ventilation, creating a difference in air pressure within the atriums. This encourages cool air circulation as warm air is pushed toward the atrium roof and out through the exhaust and louvers. Aside from maximizing the potential for natural ventilation, The Veranda’s Aeroflux System also allows sunlight to permeate the building through the atrium cap and the additional window and glass box treatment of residential unit doors. 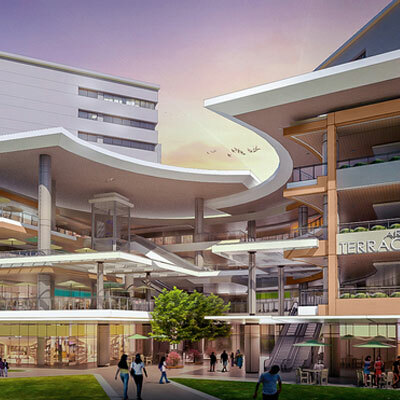 Arbor Lanes is located along Nexus Street in the Western Bicutan Barangay. In terms of design, this condo in Taguig wonderfully executes contemporary architectural design as evidenced by the project’s condo units. More importantly, the design aesthetic is coupled with functionality insomuch that units have adequate ventilation. Natural lights play a pivotal factor in ensuring that the units are completely unique in style. Arbor Lanes comes equipped with indoor and outdoor spaces where your children are free to frolic and mingle with the kids of your neighbors. The playgrounds are spacious giving kids adequate room to roam around. Furthermore, the kiddie play areas are equipped with the necessary facilities to make playtime more enjoyable. Playground amenities such as slides and swings are only a few of the things kids can enjoy in this playground and can take advantage of. By nature, children have a natural affinity for swimming pools making a kiddie pool an appropriate addition in a residential township such as Arbor Lanes. The kiddie pool can accommodate a good number of children making it the perfect place for them to make friends with the neighborhood kids. If you so wish, you can opt to bond with your kids by giving them a swimming lesson in this very pool. Sports enthusiasts and active individuals will love the lap pool in Arbor Lanes where they are free to do their daily swimming routine with no distraction at all. The pool is wonderfully designed to ensure that swimmers are given enough space to exercise and swim without being interrupted by another swimmer. Most condominium developments come with their own clubhouses, but what sets Arbor Lanes’ Clubhouse apart is the fact that it is perhaps the grandest recreation site in the township. In fact, it is where most of the activities are held as it has a game room where you can interact with neighbors and friends over a game of pool. As this condo in Taguig is such as massive community, it would be quite impossible not to socialize so living in isolation is next to impossible. Health buffs and fitness enthusiasts will find that it is so much easier to stick to their daily fitness routines with the development’s very own fitness center. Arbor Lanes has a gym that is fully equipped which would enable individuals to support an active lifestyle. In this regard, residents can do their daily grind without having to travel far.